Cello wrapping adds an extra polish to gift items. Cello wrap, or cellophane, is a quality packaging material used to wrap several products such as perfume boxes and candles. It’s also a popular packaging solution used for wrapping food. 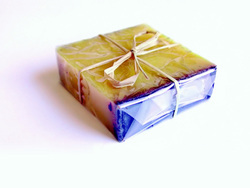 A thin filmy layer of biodegradable cellophane is wrapped around the product; loose edges are sealed by heat and cooled to form a solid, customer friendly closure. It makes the product look upscale, classy or exquisite. It is one of the best packaging materials for perfumes and gift items. It keeps the product tamper proof, giving it longer shelf life. It’s doable in many small and medium size packages. It adds gloss and shine to the package, giving instant value to the product. It is very cost-effective for packaging high volumes. Our machines can cello wrap up to 40,000 units per day. 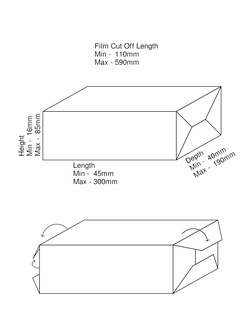 We can use pre-printed film on the cellophane. We can provide tooling for your custom package. We have a lot of stock tooling on hand, so if product fits there is no additional charge.